A beautiful light yellow shaded Tamil New Year wish picture to share with your dear friends and family. 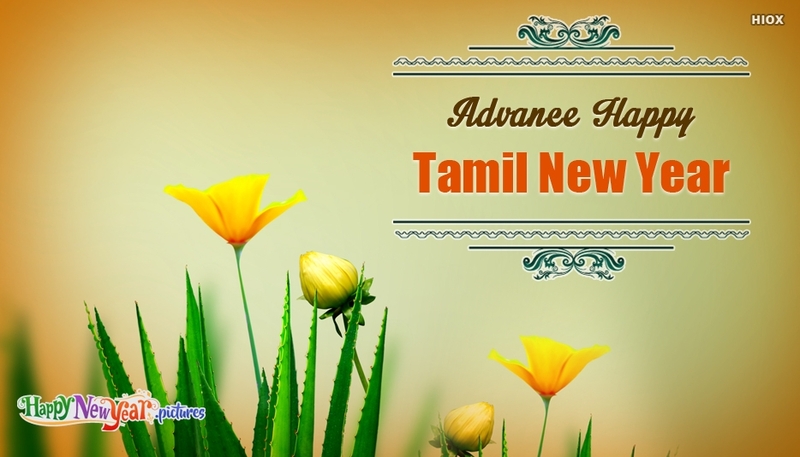 The picture portrays the wish "Advance Happy Tamil New Year" against a background image of lovely flowers. Start your Tamil New Year celebrations in advance by sending this Advance Tamil New Year wishes picture to your friends and family.